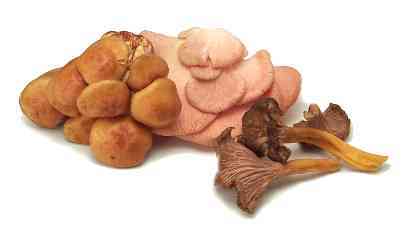 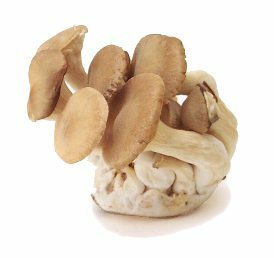 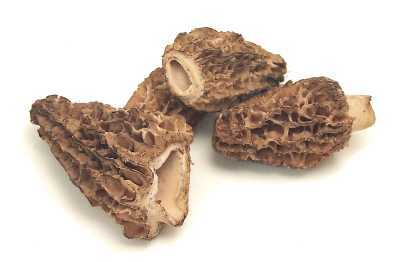 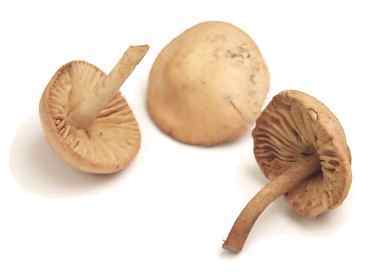 Markets stock a variety of cultivated mushrooms, but many people prefer wild mushrooms, which are often more flavorful. 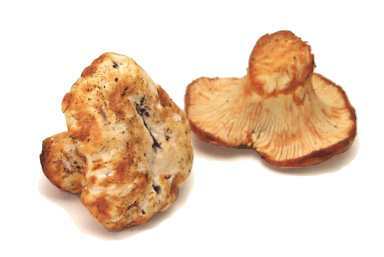 Be careful when picking wild mushrooms--some species are poisonous--and always cook them thoroughly, both to release their flavors and to convert their proteins into a more usable form. 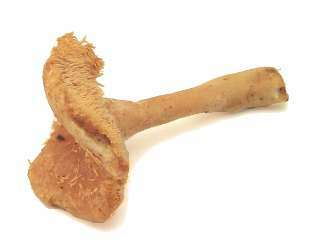 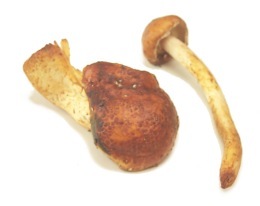 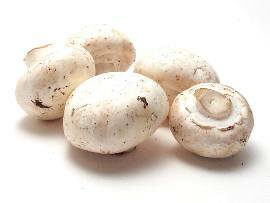 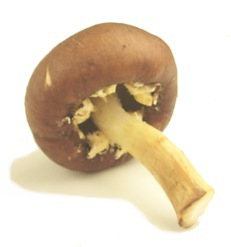 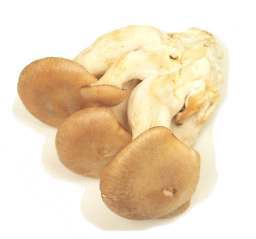 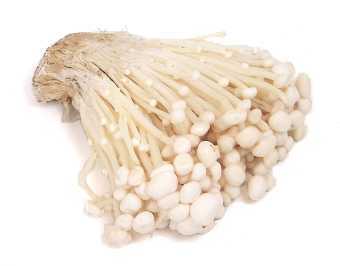 To prepare fresh mushrooms, first trim off the bottoms of the stems, then wipe them off. 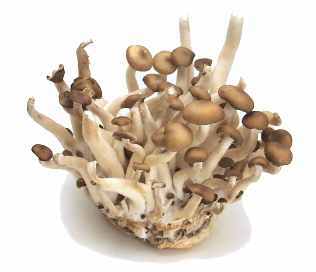 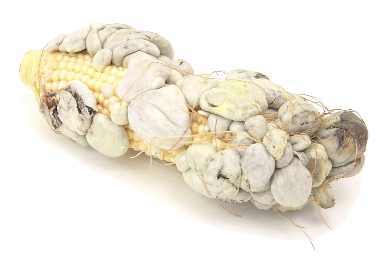 Don't rinse them or soak them, for they'll absorb water and turn mushy when you cook them. 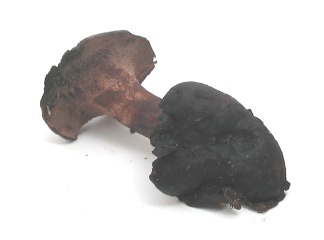 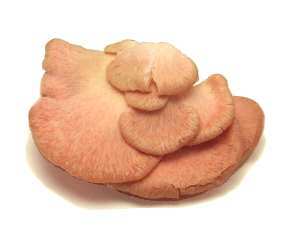 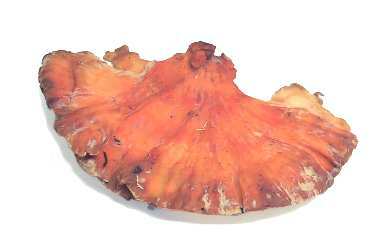 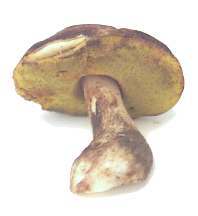 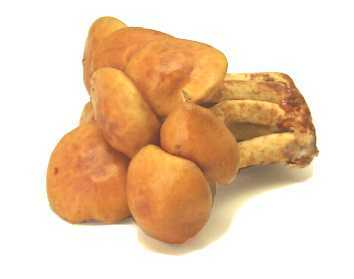 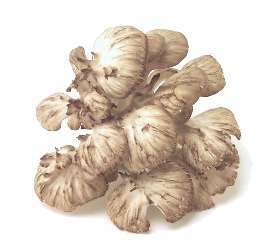 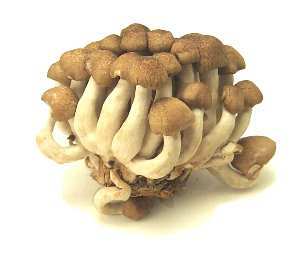 Dried mushrooms are often excellent substitutes for fresh, though some species don't dry well. 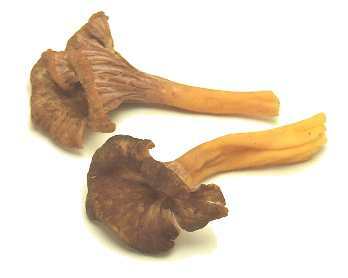 You can reconstitute dried mushrooms by soaking or simmering them. 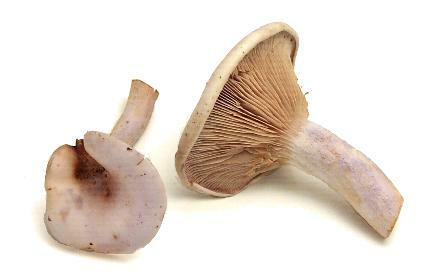 Don't throw out the soaking liquid--it can add more flavor to your sauce than the mushrooms themselves. 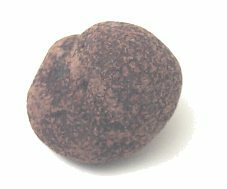 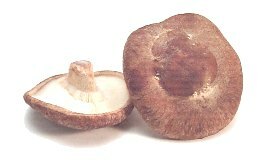 You can also pulverize dried mushrooms with a food processor or blender, then use the mushroom powder to flavor sauces and stews. 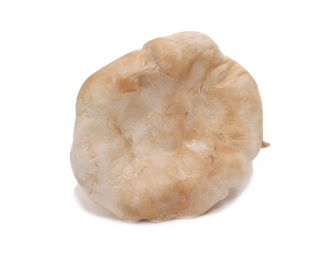 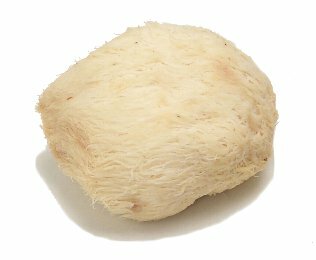 bear's head mushroom = satyr's beard mushroom = bearded tooth mushroom Latin: Hericium erinaceus Notes: These grow yellow and sour-tasting with age, so buy only white ones. 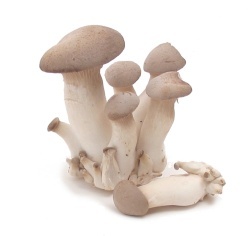 They're best sautéed or gently boiled. 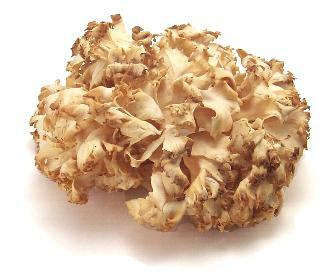 cauliflower mushroom Notes: These are very flavorful, but a bit chewy. 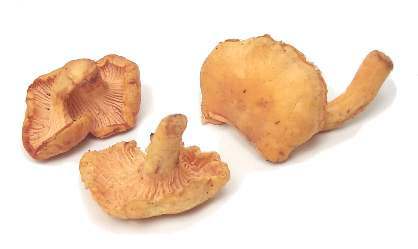 They're good fried, or in soups or stews. 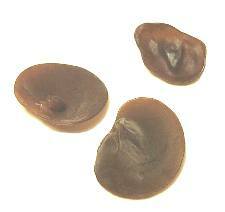 Select small, young-looking heads. 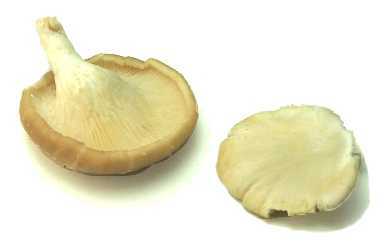 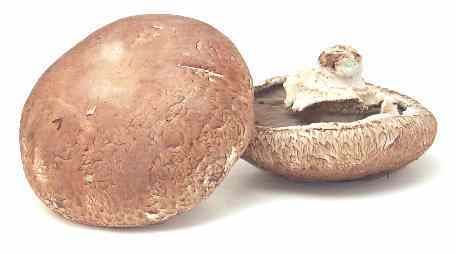 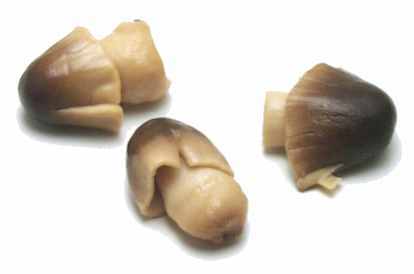 clamshell mushroom = clam shell mushroom Notes: Varieties include the brown clamshell mushroom (left). 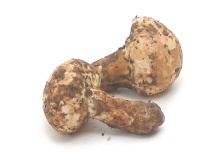 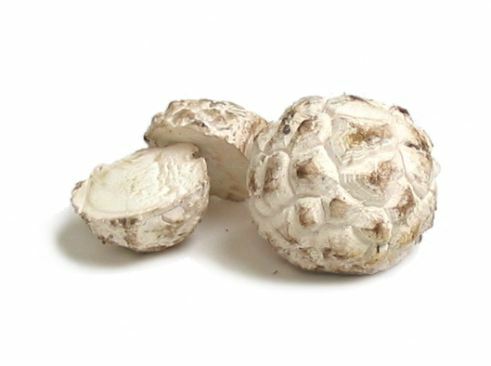 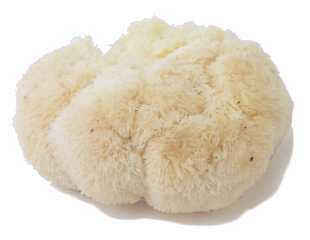 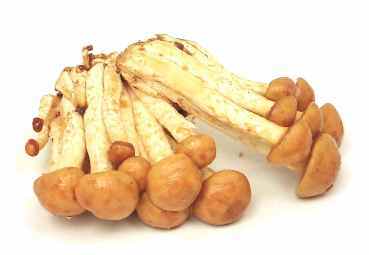 This mushroom goes well with seafood or meats. 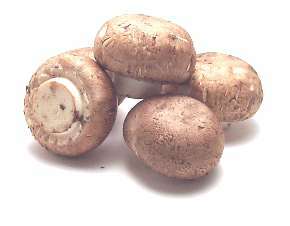 Cook them before eating. 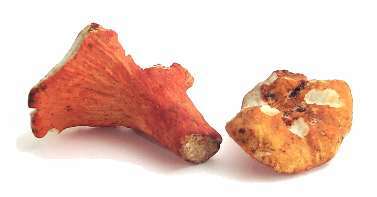 lobster mushroom Notes: These are actually white mushrooms that have been coated by a red fungus. 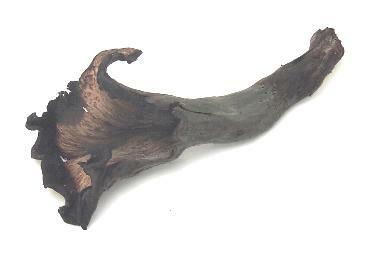 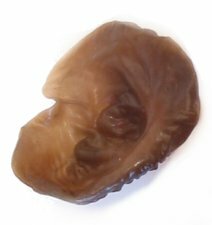 tree ear mushroom See wood ear mushroom.